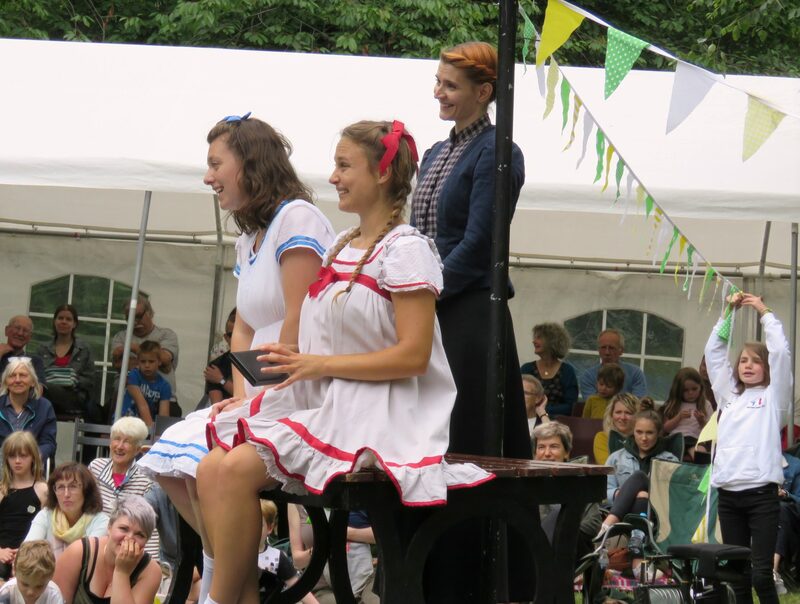 Heartbreak Productions steamed into Jesmond Dene this week with their whistle stop tour of the children’s classic by Edith Nesbit, The Railway Children. 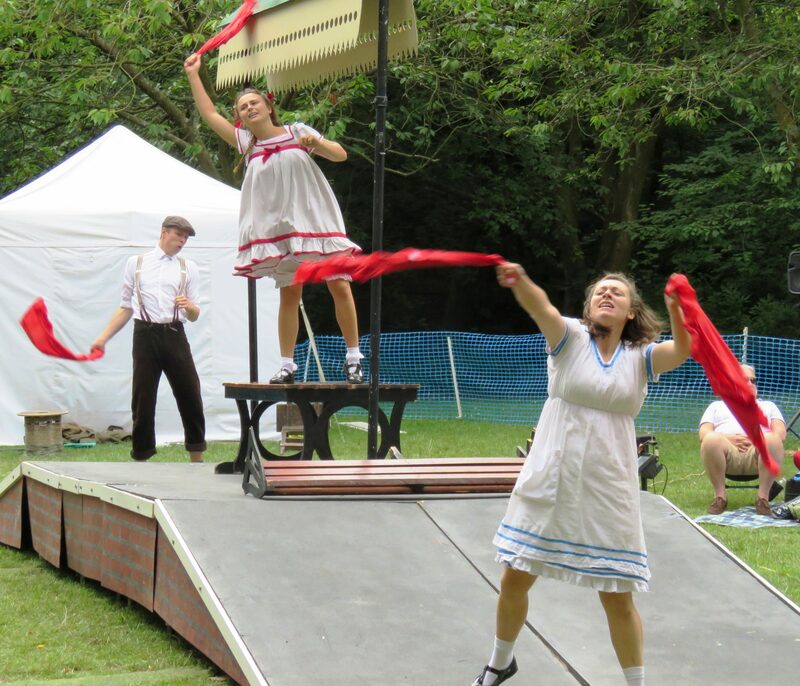 The Heartbreak team – performing in the traverse this time (to two sides) brought their signature high energy professionalism to our delightful, leafy city centre park. The much loved book and the film which followed it, hold a special place in the memories and imaginations of a certain generation who will have read it when they were youngsters, but the small children in the audience today were just as enthusiastic and a bit train mad as well! Here comes the Green Dragon! The Railways have always been part of the country’s consciousness since they started criss crossing Britain in the 19th Century and the romance of steam still persists today. 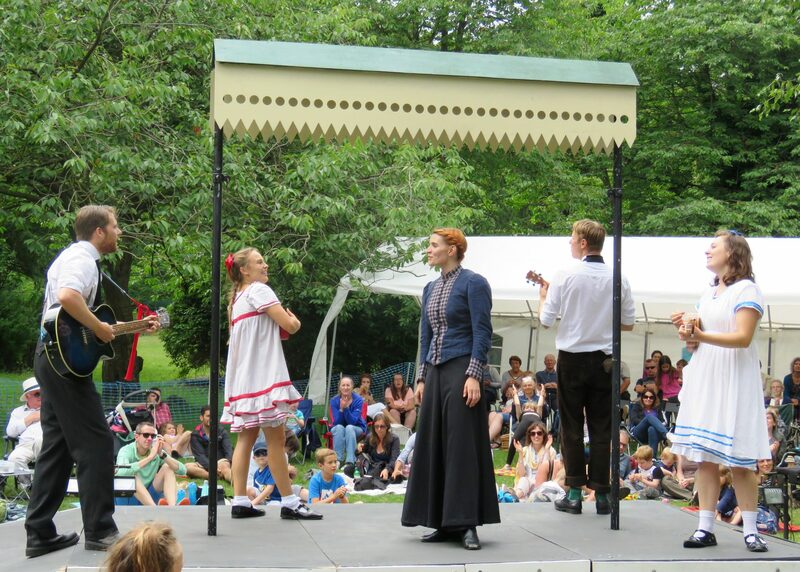 The Railway children is told through the eyes of Roberta Waterbury, the eldest daughter of the family. She and her siblings Phyllis and Peter and their mother, are left in reduced circumstances after their father is arrested, and imprisoned for crimes which sound rather like spying. The children and their mother move to the country and have to get used to being ‘poor.’ The children are adventurous and explore their new world and their environment with the railway in it and make friends with the locals. 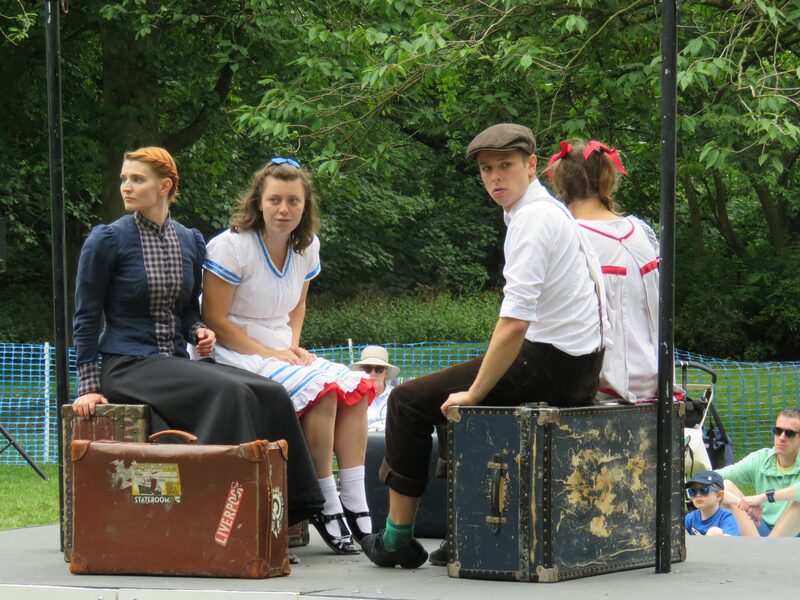 The Railway Children are very well brought up youngsters, and although curious and with more freedom than they may have had before their move to the country, they always retain their values of fair play and kindness. Get off the line Bobby!! The family come to rely on the help of the local villagers and they in return make friends with the Waterbury children. They wave to the Green Dragon, a huge train going to London where they know their father is. After mother becomes ill the children ask the kind old gentleman who travels on the train to help them which he does, and in turn they help a strange foreign man who mysteriously turns up at the station, who turns out to be Russian. 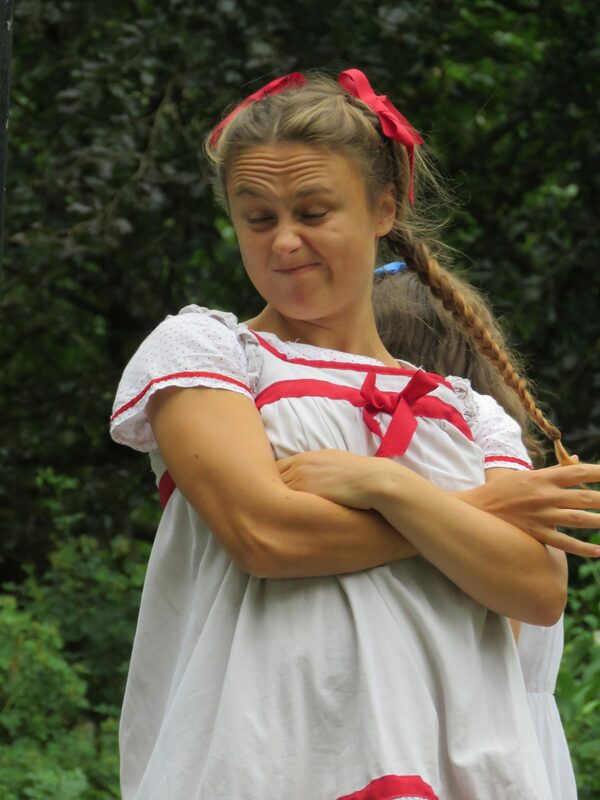 Ashleigh Aston is Roberta the eminently sensible 12 year old whose adventurous and independent spirit make her wish she was a boy (even though we know it’s OK for girls to be that way too.) She shows leadership and bravery and is a thoroughly good egg, protecting and supporting her mother and younger siblings. Roberta is our heroine whose initiative eventually leads to the return of her father to the family. She gets the old gentlemen to help clear her father’s name by uncovering the fact that he had been framed by a jealous colleague and wrongly imprisoned! Bryony Tebutt is mother – suffering and beautiful – trying to make a living writing stories to make ends meet in the absence of her husband. She inhabits the adult world which seems remote to the children, as she tries to protect them from the truth that their father is actually in prison. 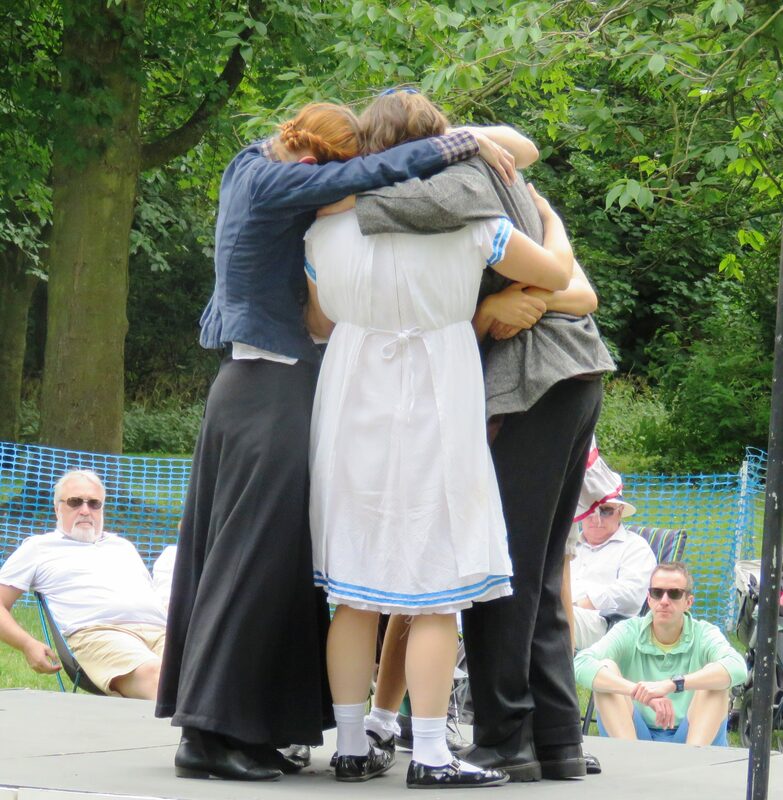 Shaun Miller gets the task of covering the nine remaining characters including the Old Gentleman, The Russian, Mrs Ransome, Perks the Porter and the homecoming Daddy! 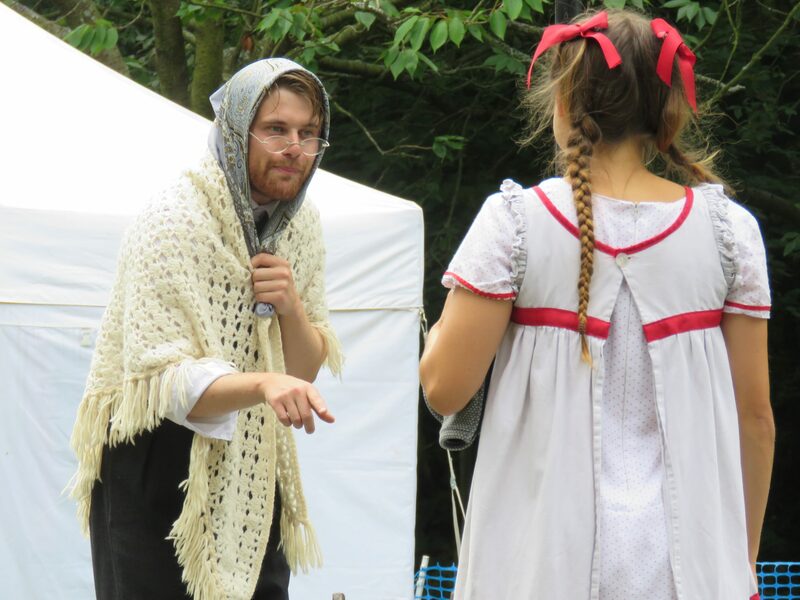 He is great at swapping from one persona to another in short order, rushes around the stage with incredible energy keeping everyone on their toes and is generally very funny indeed. 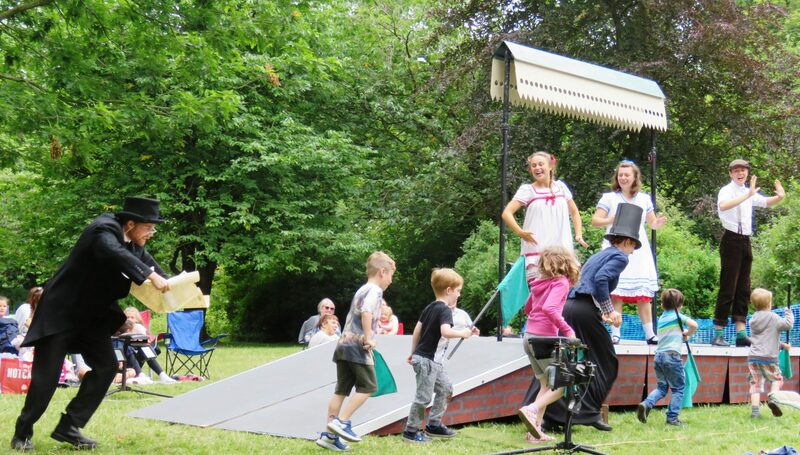 The audience get involved as they usually do with Heartbreak Productions, and small children are recruited to do some green flag waving and rushing around the stage at intervals to represent the Green Dragon train. Gifts are even borrowed from the watching crowd to give to Mr Perks the Porter for his birthday presents! He enjoyed taking selfies on the I phone tremendously! 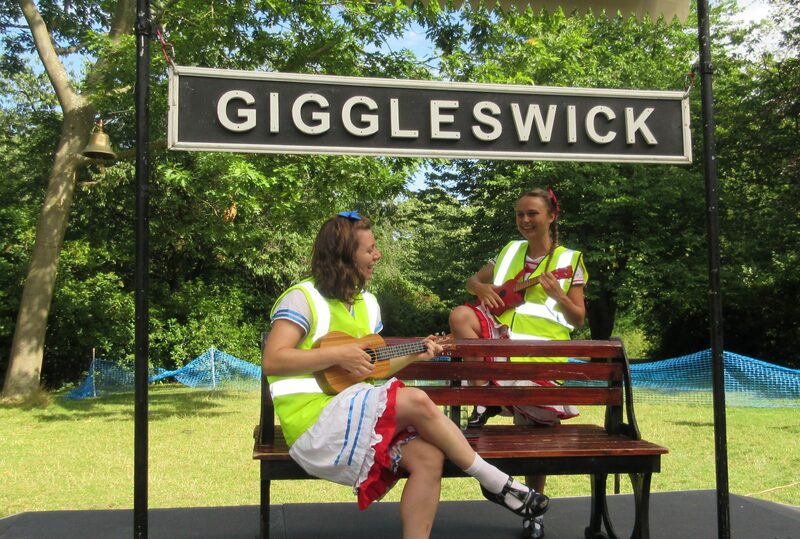 The cast all play musical instruments too, including a very entertaining Ukulele selection of popular songs at the interval and, as Heartbreak so often does, the cast play a rousing song at the end.